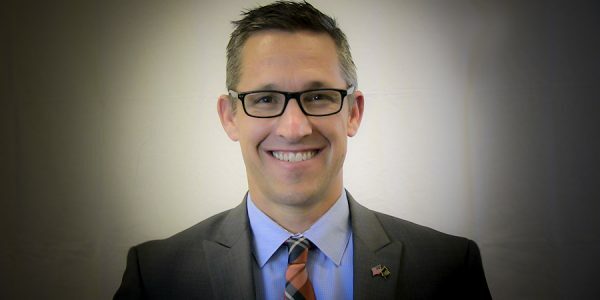 Following a nationwide searched, the San Luis Obispo County Board of Supervisors hired from within, selecting Public Works Director Wade Horton to be the county’s next chief administrative officer. Horton received unanimous approval from the board at a meeting on Tuesday. Horton, a United States Navy veteran, has served as SLO County’s public works director since 2014. Previously, he worked for the city of San Luis Obispo, serving as deputy director of utilities and managing SLO’s water program. As the county’s top executive, Horton will oversee a $590 million annual budget and a staff of 2,800. Horton will be tasked with working with a board that has a clear conservative majority but is divided along political lines. The liberal minority, supervisors Adam Hill and Bruce Gibson, frequently launch verbal assaults against their colleagues, and they recently blamed the board majority for the departure of Dan Buckshi, Horton’s predecessor. Buckshi, however, accepted a job in a Bay Area city that comes with higher pay and benefits. “I’m looking forward to serving with an exceptional leadership team focused on service and improving quality of life four our fellow county residents,” Horton said in a statement. Horton has 19 years of combined public and private sector experience, a SLO County news release states. He has an environmental engineering degree from Cal Poly, is a registered civil engineer and has previously done engineering work for Modern Continental and URS Corp. Horton has also served as a United States Navy Civil Engineering Corps reserve officer for 13 years. His new role as CAO will begin on Nov. 15. No Salary or Benefits Data to give us surfs that pay for these Nobles?